Home Video Studio: Video Transfers and Old Movie Film to DVD! Video Transfers and Old Movie Film to DVD! 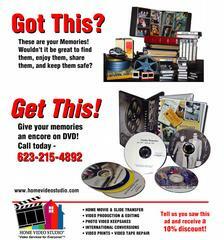 Protect your Priceless Memories of long ago onto DVD! We have all of your video Service needs!